Ald. Ann Rainey (8th) speaks at City Council Monday. Rainey expressed concerns over selling a property at 2222 Oakton St. to Clark Street Real Estate. Aldermen approved an ordinance on Monday that authorizes city manager Wally Bobkiewicz to negotiate the sale of public property on Oakton Street to a Chicago-based developer. The decision — which passed 6-3 despite pushback from Ald. Ann Rainey (8th), whose ward includes the property — authorizes the city to enter into a contract with Clark Street Real Estate. The property is located at 2222 Oakton St., across the street from James Park in south Evanston. The developer has proposed building a climbing gym in partnership with First Ascent Climbing and Fitness, a Chicago-based climbing company with six locations in the Chicagoland area. However, Rainey raised concerns that the developer would continue buying property in the area to create a shopping center in the future. At the Monday meeting, Rainey introduced an amendment to the ordinance, asking for the city to enter into a three-year lease agreement instead of negotiating a sale to the developer. She also requested the parking lot remain in the hands of the city. The amendment failed 6-3, with Ald. Robin Rue Simmons (5th) and Ald. Judy Fiske (1st) voting with Rainey against the ordinance and for the amendment. Aldermen then approved the ordinance as drafted, with just enough votes to constitute the required two-thirds majority for Bobkiewicz to negotiate the deal. In Jan. 2017, the city approved a lease with Smylie Brothers Brewing Company for the property, which was formerly a city recycling center. However, in April 2018, owner Michael Smylie wrote to the city requesting termination of his 10-year lease. The city has been considering First Ascent as an alternative for the property since May. Andrew Stein, a principal developer at Clark Street Real Estate, spoke before aldermen voted, insisting that his company only aims to benefit Evanston. Economically, he said they would be able to put the property back on the tax rolls and bring in revenue for the city. He added that there is no climbing gym in the north Chicago suburbs, and First Ascent could become a “regional destination” and end up bringing customers to other Evanston restaurants and stores. However, Stein said a three-year lease would not be “favorable” given the capital his company would need to invest in the property. Ald. Donald Wilson (4th) pushed back on Rainey’s amendment, arguing a three-year lease would not guarantee return on representation. He said that “no sane person on the planet” would take the deal. 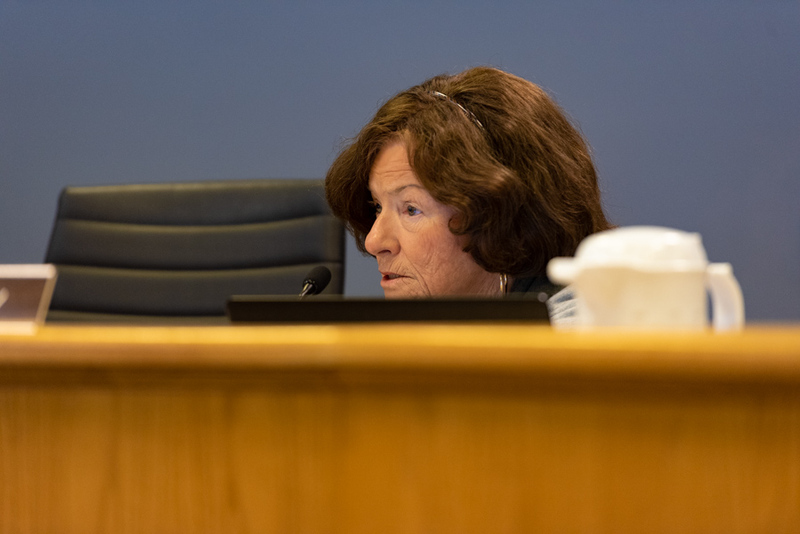 Wilson added that the ordinance as written would give Bobkiewicz the power to negotiate a favorable agreement, but requiring a three-year lease agreement would prevent a conversation from happening in the first place. Rainey said she has nothing against rock climbing, but she is concerned about Clark Street Real Estate. If the negotiation were with First Ascent directly, she said she would more comfortable.